WPMF has been involved in various ways in reaching out to the West Philadelphia community through friendships and projects. These include intentional outreach to international students, supporting Habitat for Humanity, sponsoring a Meals on Wheels program, providing leadership and financial resources to Philadelphia Mennonite High School, being involved in Philadelphia Interfaith Action on city-wide lobbying efforts and projects, working on affordable housing with the Beaumount Initative, participating in Heeding God’s Call (gun violence prevention), and other initiatives. Complementing the work of Powerlinks, the Comegys Support Team seeks to engage our congregation in hands-on projects to benefit the B.B. Comegys School, a K-8 public school at 51st and Greenway. This newly formed and ever-growing team meets regularly with Comegys staff members to determine volunteer, equipment, and skills needs, and respond as we are able. We value partnership with staff and parents in ways that empower community leadership and enhance the learning experience of our city’s children. 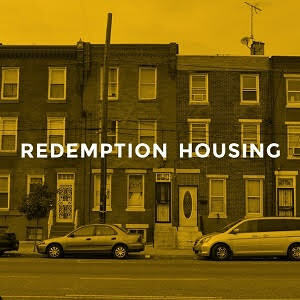 In early 2016, WPMF entered into a partnership with Redemption Housing, a faith-based nonprofit that offers support to Philadelphians coming out of incarceration and homelessness. Redemption Housing works to guide its residents towards recovery, seeking to address cycles of recidivism through holistic programming and healthy relationships. WPMF was the first congregation to support Redemption Housing, and many of our members have been involved in building a strong foundation for this startup nonprofit. A committee from WPMF meets together regularly to discuss the congregation’s involvement with Redemption Housing. 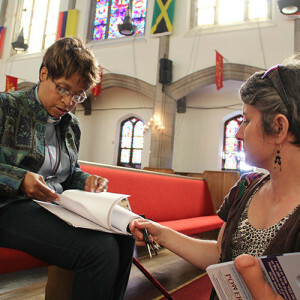 They also plan for ways of advocating for returning citizens in the church and community. In spring 2011, WPMF joined POWER (Philadelphians Organized to Witness, Empower and Rebuild), a faith-based community organizing group. Based on a national model created by PICO, this group is a newly formed network of Christian, Jewish, and Muslim congregations throughout Philadelphia working to create innovative solutions to the city’s most pressing issues. WPMF was one of the first congregations to officially join POWER, but many others have joined since. 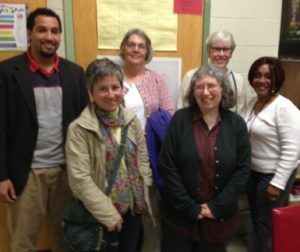 A local leadership group from WPMF (nicknamed “powerlinks”) meets with Pastor Lorie monthly to discuss the congregation’s involvement with POWER on the local and city levels. In addition to supporting citywide actions, powerlinks hopes to engage the West Philadelphia community though forums, outreach, and other community events. The Dirt Factory is a community composting center near 43rd & Market. University City District who oversees The Dirt Factory offered us the use of 3 raised beds last summer to grow vegetables. A total of 5 volunteers who were very committed to the project helped out. 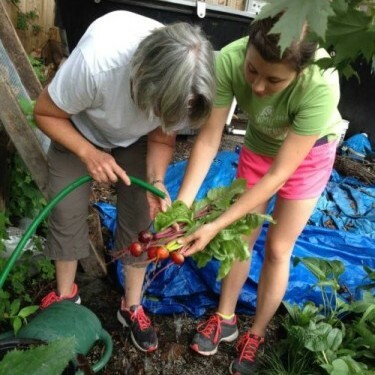 One volunteer was an intern from Eastern Mennonite University. Another was from the Methodist Church at Calvary. We were able to donate over 60 lbs of vegetables to a food cupboard near 47th St & Woodland Ave in partnership with Warrington Gardens and The Pennsylvania Horticultural Society. October 2015, West Philadelphia Mennonite Fellowship, 48th St. & Baltimore Ave. Philadelphia, PA 19143. 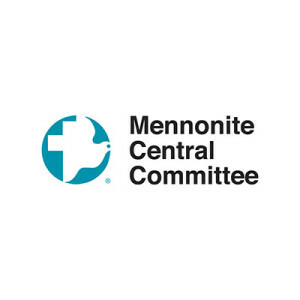 Read more information here about MCC Benefit Sales. 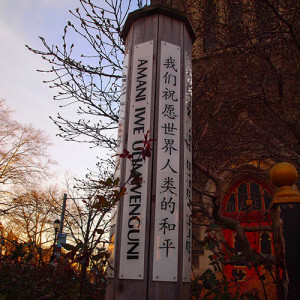 The WPMF Peace Group was started in April 2006, and went on hiatus in 2010, by church members who wanted there to be an action group in the congregation for intentional and faithful peace witness in the community, as a way to see the shalom of the city (part of the WPMF Vision Prayer). We banded together to speak out and act for peace and nonviolence, and against militarism and war. The WPMF Peace Group met five to six times a year to discuss issues related to our purpose and the kinds of action/s we wanted to carry out as a group, as well as to encourage each other to be peacemakers in our own homes, work situations, and other settings of our lives. In this way, we hoped to plant and water the seeds of peace. Educating people about conscientious objection. Visit The GI Rights Hotline or Mennonite Central Committee for information on your rights and your options. 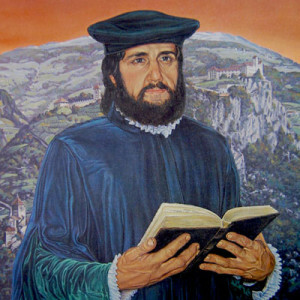 The Mennonite Church grew out of the religious Reformation in Europe, when the Anabaptists radically imitated the first century Christian church, by stating their allegiance to Jesus Christ, their adherence to the Scriptures as their guide, and their beliefs in baptism upon confession of faith (instead of being born into the church), discipleship, the priesthood of all believers, and nonresistance. They held to these beliefs in spite of severe persecution and even martyrdom.